I took this while golfing up at Holland Heights Golf Course. 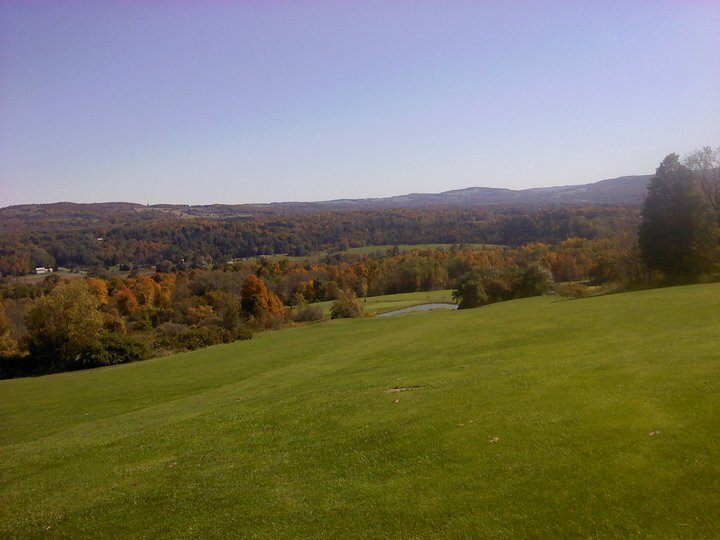 The views are absolutely amazing, especially in the fall. Both my boys were born in September and with that being said, I had no choice but to sit back, relax, and enjoy the birth of my babies and this beautiful time of year with them. And 9 years later we still take the time to enjoy the foliage here in our area. We’d be stupid not too. New York is known to have some of the best foliage around and I can definitely vouch for that! Since I am jumping the gun a little bit since it is only August ha, I will definitely be posting pictures of the change of season when the time comes, so be sure to keep an eye out for my posts!